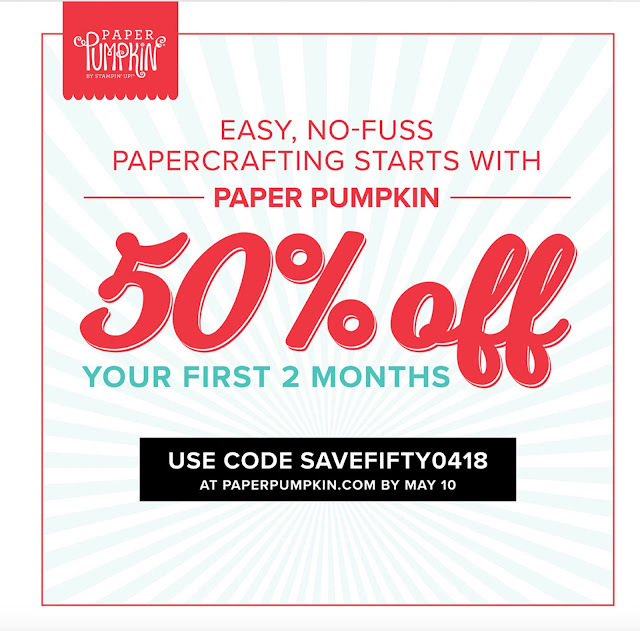 Now is the perfect time to sign up for Paper Pumpkin! The first 2 months is 50% off! What is Paper Pumpkin, you ask? Let me tell you all about it! Paper Pumpkin is a fantastic, monthly subscription service which delivers pre-designed, precut papercrafting projects straight to your doorstep. Here is where you can sign up! To get the deal, sign up by May 10th!